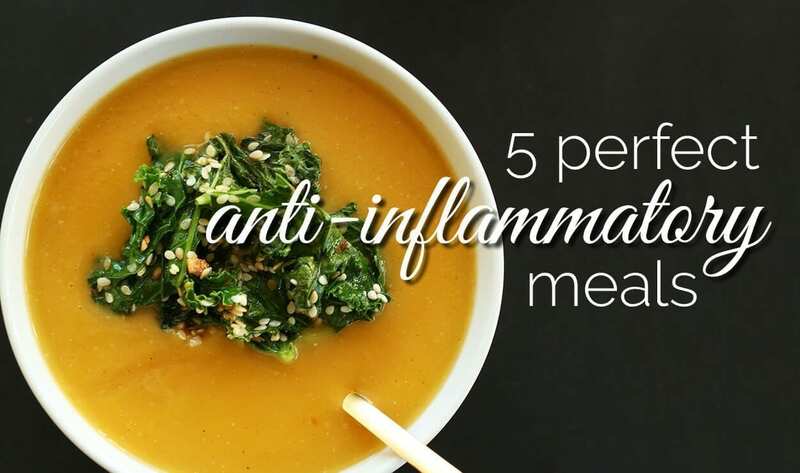 Inflammatory diseases and sensitivity issues unfortunately affect so many of us. The causes can often be linked to lifestyle choices such as poor diet and exercise, stress and poor sleep quality. Other causes can be neurological disorders, hormonal imbalances and infectious illnesses. Unfortunately, some inflammatory diseases are genetic and / or cannot be cured, therefore, keeping the worst of the symptoms at bay through a healthy balance of medication, diet, exercise and rest, will ensure a quality of life all of us should be able to enjoy. If you, or someone you know is presenting with persistent symptoms of a suspected undiagnosed inflammatory disease, it is important to seek medical attention first before taking any other course of action. Having stated that, preemptively adjusting your diet to foods that naturally decrease inflammation is going to do your mind and body a whole lot of good. Your gut processes and absorbs the good the bad and the ugly from everything you ingest, so make sure you’re giving it mostly good to deal with. 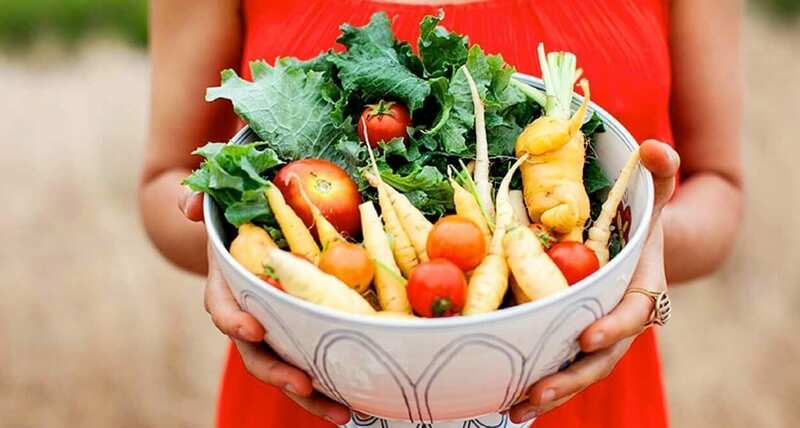 Fruits and vegetables should comprise 50-60% of any given meal. If you must have meat, keep it to once a day, (25% of your meal), and unprocessed. Any processed foods should be avoided in general, as they will aggravate any pre-existing conditions. Instead of reaching for the familiar grains, substitute whatever you can with quinoa, rice, nuts, millet, amaranth, sorghum and/or legumes. Remember that interchanging your usual foods can be a delight and a learning experience. Keeping a positive attitude towards the changes will help keep you on the right track. Have fun with it! Combine oats, chia, milk and cocoa in a saucepan. Bring to a boil over medium heat and then simmer over lower heat until oats are cooked. 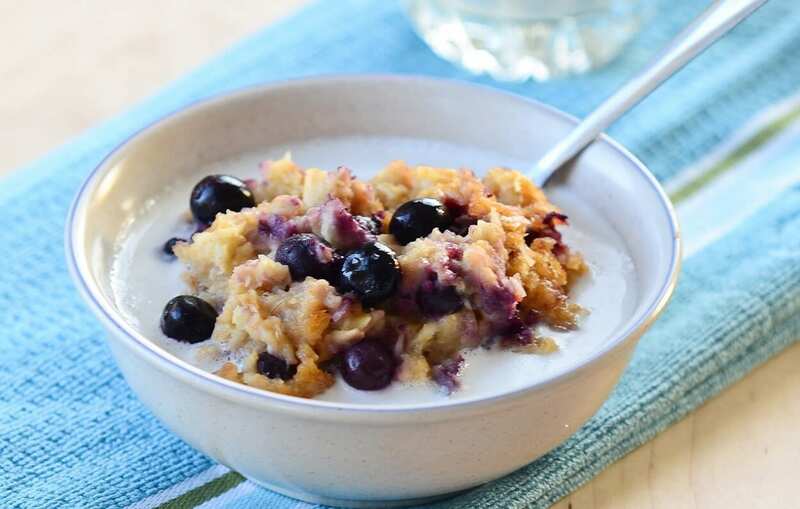 Transfer to a bowl and add toppings like berries, a teaspoon of coconut or cane sugar nuts or coconut shavings as desired. I like to drizzle some cold milk on top too to keep it from gumming up. 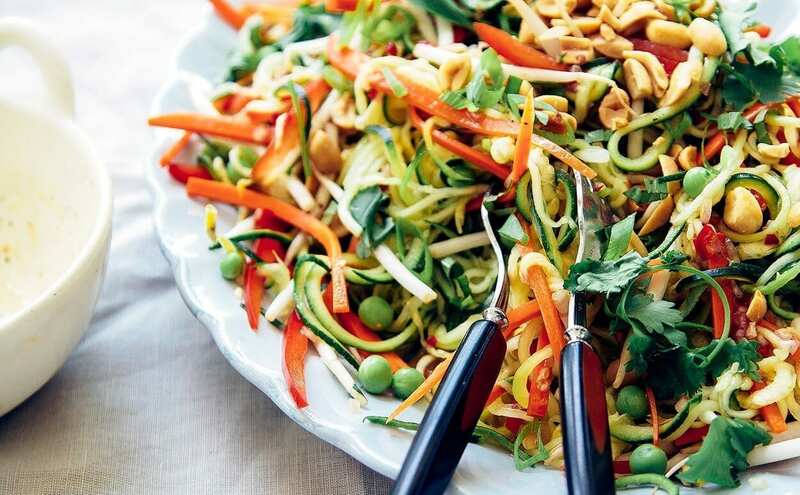 Use a spiralizer, mandoline or vegetable peeler to create noodles from the carrots and zucchini. Place them in a large mixing bowl and top with the vegetables. Pour the sauce over the noodles and vegetables, and toss. This dish tastes even better the next day once the flavours have had a chance to blend. Preheat oven to 400°F (204°C). 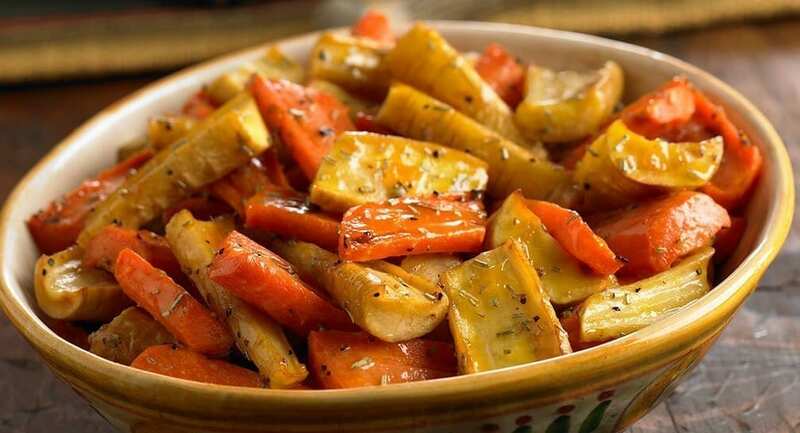 In a large bowl, toss together sweet potatoes, parsnips, bay leaf, oil and, pine nuts and salt and pepper. Transfer to a large roasting pan. Roast, stirring occasionally, until tender and golden brown, about 1 hour; discard bay leaf. Meanwhile, whisk together juice and honey in a medium saucepan and bring to a boil. Reduce heat and simmer until reduced and thickened, 7 to 8 minutes. Set aside. Transfer vegetables to a platter, drizzle honey-pecan mixture over the top, garnish with parsley and serve. Preheat oven to 350 degrees F (176 C) and line a baking sheet with parchment paper. Using a sharp knife, cut off the tops of two sugar pumpkins and then halve them. Use a sharp spoon to scrape out all of the seeds and strings (see notes for a link to roasting seeds). To a large saucepan over medium heat add 1 Tbsp olive oil, shallot and garlic. Cook for 2-3 minutes, or until slightly browned and translucent. Turn down heat if cooking too quickly. Add remaining ingredients, including the pumpkin, and bring to a simmer. Transfer soup mixture to a blender or use an emulsion blender to puree the soup. If using a blender, place a towel over the top of the lid before mixing to avoid any accidents. Pour mixture back into pot. Continue cooking over medium-low heat for 5-10 minutes and taste and adjust seasonings as needed. Serve as is or with Kale-Sesame topping. To the still hot pan, add olive oil and garlic and sauté until golden brown – about 2 minutes. Add kale and toss, then add a pinch of salt and cover to steam. Cook for another few minutes until kale is wilted and then add sesame seeds back in. Toss to coat and set aside for topping soup. Smoothies are a really efficient method of packing in those vital nutrients and fibre whilst keeping us tastily hydrated. Include 3 or more of these ingredients to ensure you’re getting the best effect out of every smoothie you make. Blend away! And don’t forget you can always add water or kefir to play with consistency. If you want to sweeten things up be sure to use a natural, unprocessed sugar or honey, bearing in mind that a little goes a long way.